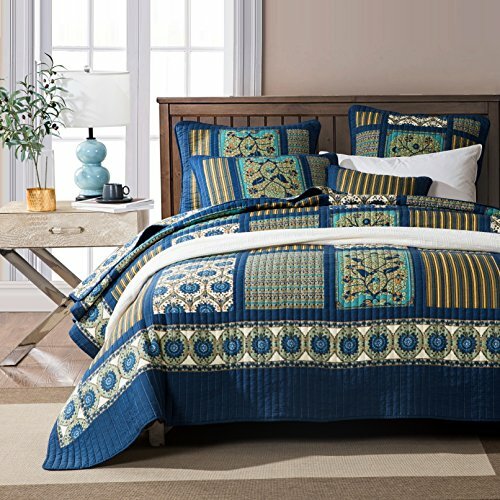 This dark blue bedspread features a lovely patchwork design and gold accents. The colorful floral design on the reverse side adds an option for a completely new and lighter look. The colors are a light beige and gold with dark blue accents. This set includes matching pillow shams, with the same design as the quilt.